ANAHEIM, Calif. (WPVI) -- "Toy Story" fans will get the chance to visit their favorite aliens at the real-life Pizza Planet! 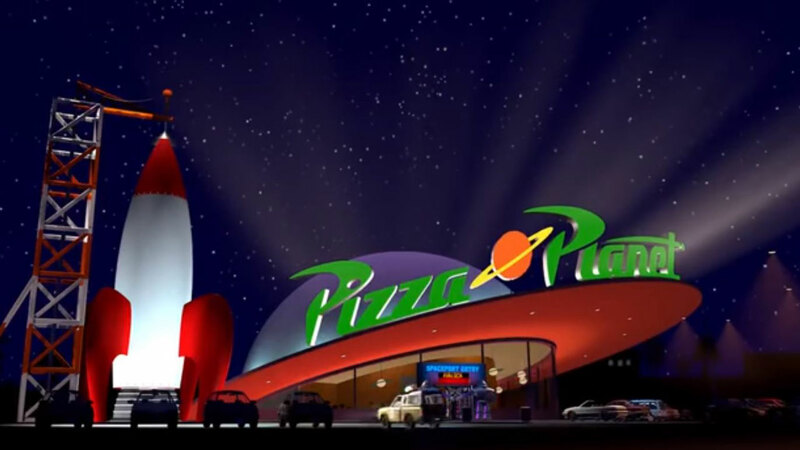 Redd Rockett's Pizza Port will be transformed into Alien Pizza Planet - "A Better Place" for the first-ever "Pixar Fest" on April 13 at the Disneyland Resort. The menu will feature pies that are "out of this world," including a hearty cheeseburger pizza topped with ketchup, yellow mustard, pizza sauce, cheese, caramelized onions, diced tomatoes, slider patties, a house-made burger sauce, and pickles on a sesame seed crust. The "Toy Story" invasion is just one of the many transformations coming to Disneyland for the festival, which runs until September 3. Characters from Pixar films are about to play a starring role in Disney parks around the world, kicking off with a "Pixar Fest" on April 13 at Disneyland. "We're taking the characters that families love, that guests love, and bringing them to life in a whole new way," said Jeff Schaver-Moskowitz, the Pixar Pier producer with Walt Disney Imagineering. That includes that newly transformed Pixar Pier at Disney's California Adventure, opening June 23, featuring newly themed attractions, food, merchandise, and the "Incredicoaster," where guests will race alongside the Parr family as they try to catch baby Jack Jack. All of those emotional highs and lows that millions of fans have grown to love while watching Pixar movies on screen, they'll soon be able to experience in person. The Walt Disney Co. is the parent company of 6abc.